In recent years the term 'wireless' has gained renewed popularity through the rapid growth of short range networking, e.g. WLAN ('Wireless Local Area Network'), WiFi, Bluetooth as well as mobile telephony, e.g. GSM and UMTS. 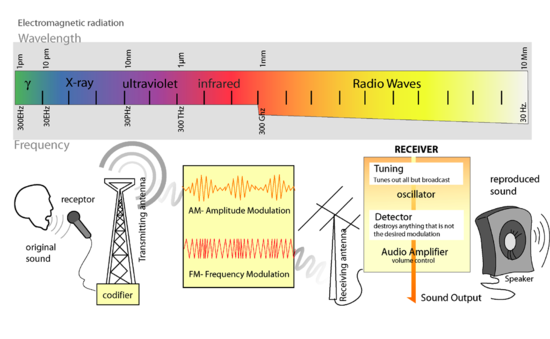 Today, the term 'radio' often refers to the actual transceiver device or chip, whereas 'wireless' refers to the system and/or method used for radio communication. Hence one talks about radio transceivers and Radio Frequency Identification ( RFID), but about wireless devices and wireless sensor networks.